Oh yeah – here we go. According to a couple of reports I’ve read and newscasts I’ve heard the amount of foreign aid to Egypt – specifically for military/security purposes – is given at $1.3 billion in 2010. Billion – billion…..not measly millions. The photo above is part of an amazing photographic slide show of the Egyptian protests against the government of Hosni Mubarak. Several of the photos are terribly graphic and may be disturbing. It’s a truly sharp picture of the reality happening in Egypt currently. 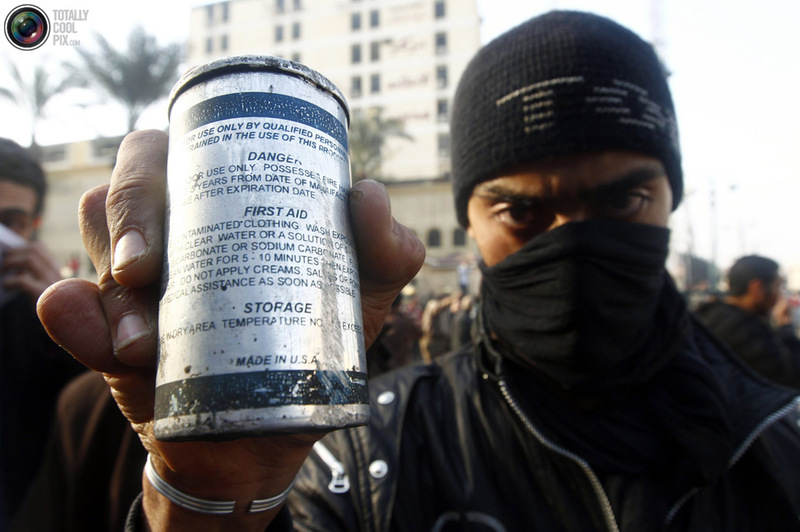 Filed under: World Conflicts/Crises | Tagged: Hosni Mubarak, Jan. 25th Protest - Egypt |	Comments Off on Made in the USA!